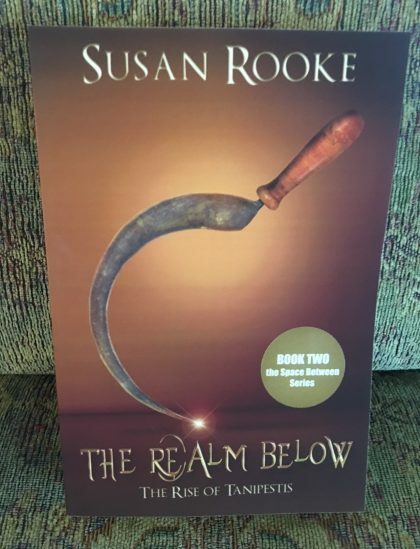 The Realm Below: Coming Soon(-ish) to a Bookstore Near You! 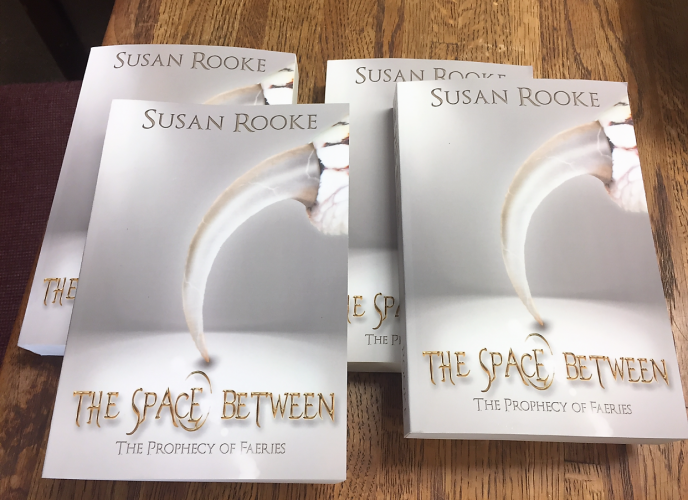 Ladies and Gentlemen, it is with great pleasure and a fragile hold on reality that I inform you that, by the time you read this post, Book 2 in the Space Between series will be in the editing phase. 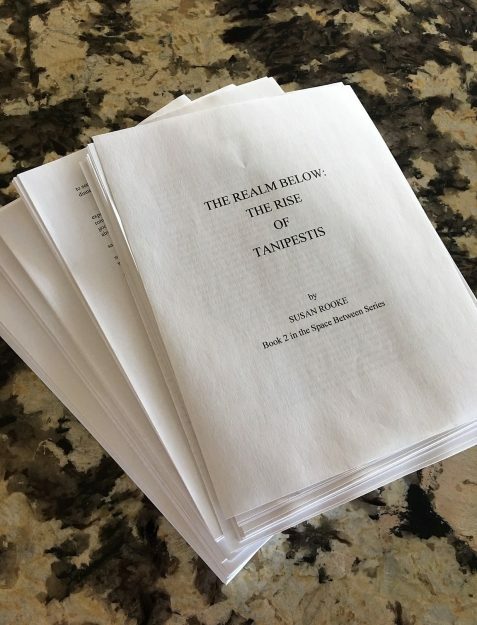 A few minutes ago I finished typing “STILL NOT THE END” at the bottom of page 245 and sent the manuscript of The Realm Below: The Rise of Tanipestis off to Glen for printing. And now, just as it did before The Space Between was published, it’s dawning on me that the writing is the easy part. 1. Starting as soon as I finish this blog post, I read the printed manuscript for consistency, continuity, loose ends, etc. 2. I start again at the beginning with the document on my laptop, doing a line-by-line edit, correcting typos, simplifying sentence structure and fixing any problems I found in step 1. This of course means I’m rereading it. 3. I email the manuscript to The Daughter. Katie is my first outside editor, reading for all the same issues that I have supposedly addressed already in steps 1. and 2. She never fails to find things I’ve missed. 4. While Katie is busy doing that, I’ll reread The Space Between to be certain I haven’t introduced inconsistencies or contradictions in the sequel. And not for the first time, I will tear my hair out and ask myself why I thought it was a good idea to write a series. 5. Katie emails her suggestions to me, we argue over some of them and I make the necessary adjustments. 6. I email the manuscript to the insightful and indomitable Mindy Reed, the first of my editors at the wonderful The Authors’ Assistant, my editorial/promotional firm. She does the developmental edit. 7. At some point I send my cover artist, the very talented Heidi Dorey, a representative chapter so that she can begin working up some cover designs. 8. I get the manuscript back with Mindy’s suggestions, reread it and make the necessary adjustments. 9. I email the manuscript back to The Authors’ Assistant for the first of two rounds of copy editing. 10. By now I’ve suffered major hair loss and catastrotic failures of important organs due to sheer boredom with the material, but nevertheless I get the manuscript back, reread it and make the necessary adjustments. 11. I begin meeting often with my publicist, the indispensable Danielle Hartman Acee (also of The Authors’ Assistant), who has a winning smile and the courage and ferocity of a tiger. Which is good, because I’m a complete wimp. She formats the manuscript for e-book and maps out a battleplan to send the book [irony alert!] rocketing into the bestseller stratosphere. We choose and finalize the cover design, do something or other I can’t recall with the Library of Congress, settle on a publication date and get the printer to whip me up a proof copy to check for any last-second glitches. And I . . . will . . . reread . . . it. Even if it kills me. 12. And then, so help me, I start writing Book 3 in the series. Brain or no brain. Whew. 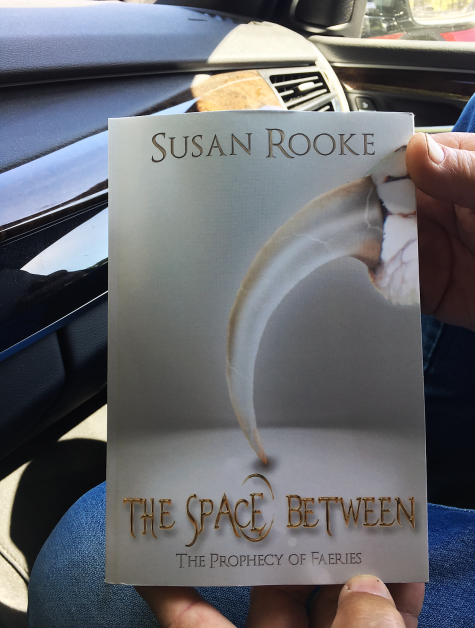 The Space Between: IT’S HERE! Ladies and Gentlemen, September 12th has come and gone. You know what that means, don’t you? 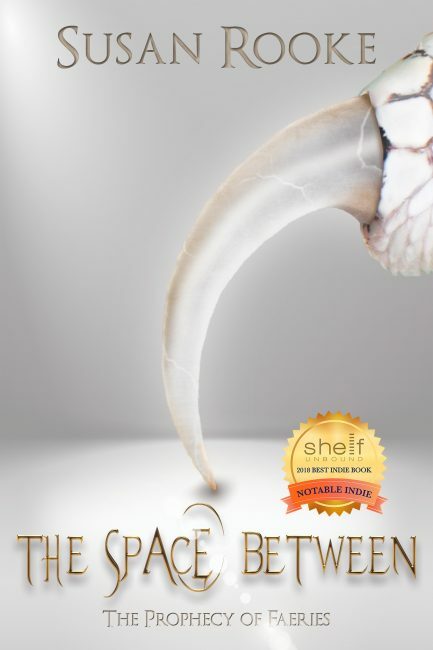 The Space Between is now released, and climbing to the top of the bestseller charts! Well, okay, it’s ranked on the bestseller charts. Somewhere . . . But the point is, it’s finally published. And I can’t quite believe it. Jean is the corporate accounting brain behind my new publishing company, and all the attendant permits and documentation that requires. (What an awakening that’s been. Luckily Jean has infinite patience with my cluelessness.) There are no better sisters-in-law than these two! I’m so grateful and blessed to have loved ones like this in my life. So it’s clear why there have been such highs. The source of the lows is more complicated. Being tuckered is a factor, certainly, but there’s more to it than that. When I look at the book I see all of those 12 years, and I’m saddened when I think of the changes they’ve brought. There have been too many deaths; there has been no stasis. Time demands from us constant change, whether joyous or adverse, as its toll. Nothing ever stays the same. Whether or not time is an artificial construct, it’s our perception of it that matters, and time’s methods are heartless. Then there’s the feeling that some large hand wielding a pair of pinking shears has scissored a hole out of the center of my life. Since I began writing The Space Between on September 1st, 2005, not one day has passed that the book hasn’t been in my thoughts or directly in my field of vision. And now at long last, I’ve let it go, sending it out into the world. On its own. In a span of hours I went from birthing a baby to sending a child off to college. I’m surprised I could even get out of bed this morning. As it was, I spent some time in “Okay, now what?” mode, my sense of purpose unbalanced, requiring a dose of rigor. Happily, I’d resumed work on the sequel on Labor Day. Today, as soon as I stopped dwelling on the child that’s flown the nest and returned my focus to the one still in its infancy, balance was restored. And good bubbly always helps. The evening of the 12th, Glen and I opened a bottle of very special champagne. We’d had it for a couple of years, holding on to it while we waited for the commensurate very special occasion to arise. We decided this occasion fit the bill. To all of you. To The Space Between. It was all meant to craft the book into its best possible self, and to catch any remaining typos/errors. But even then it wasn’t done. 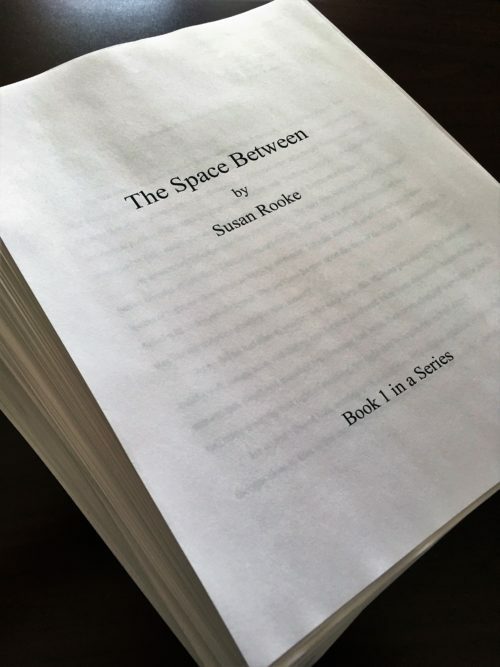 After that came the proofing: of the print copy, the e-copy, and then the re-proofing of both when The Daughter threw a monkey wrench into the final 10 pages (see August 17th’s post, “The Space Between: NOW It’s Done“). But, as I say, it was doable. Then it came time to promote the book. And this is the part that took me by horrified surprise. Start a Facebook page? Open a Twitter account? But I did that already! What do you mean, that’s not enough? I’m making great promotional strides here! Oh, how naïve I was. There’s much more to promotion than that. So much that I can’t even hold it all in my head at once. (Probably because I’ve got at least fourteen versions of The Space Between in there.) I tried to keep it all straight, but it was like trying to nail Jell-O to the wall. 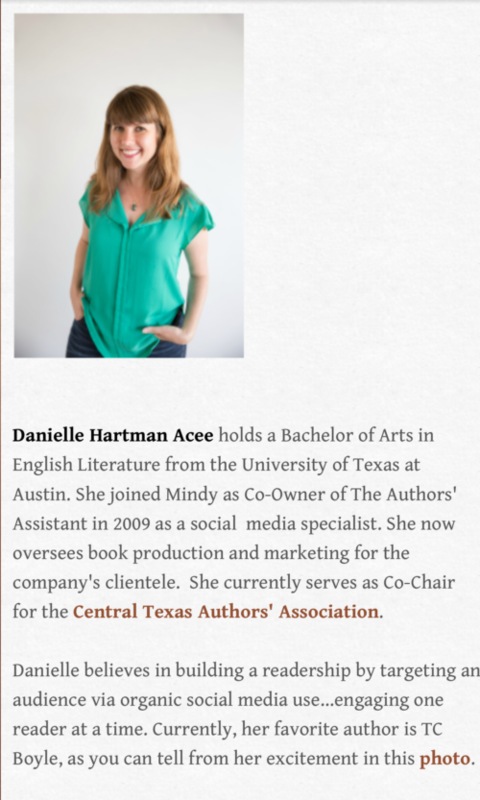 At that point I just kind of threw up my hands and said, “I can’t do this!” Danielle Hartman Acee, wearer of many hats at The Authors’ Assistant, saved my bacon. Again. Thank you, Danielle, for your amazing promotional skills! 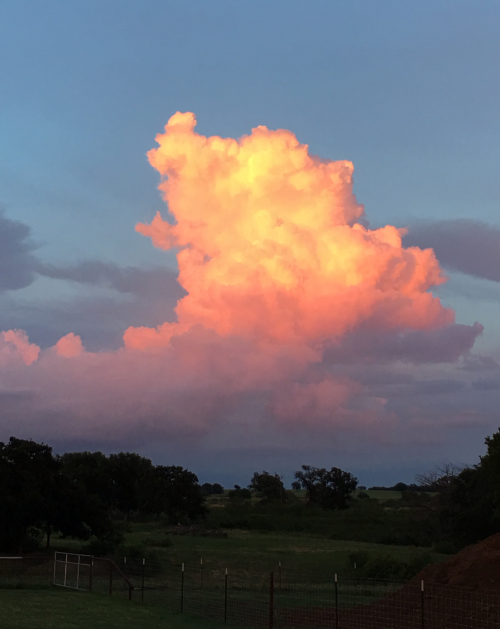 And now we arrive at the end of August, and this, my 70th blog post. Summer is creeping along towards fall. It seems like an auspicious time to shift my focus back to writing fiction. 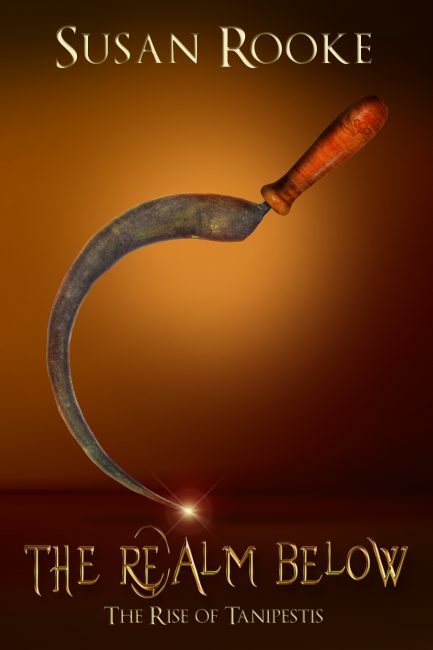 Next Monday I’ll return to writing The Realm Below: The Rise of Tanipestis. (That’s the working title. It’s been tweaked a couple of times. This one feels like it should stick, though.) I’m 87,000 words in already, which I call a good start. I’m excited to share little bits and pieces of it with you in the coming months. Pretty soon my characters will begin speaking to me in dreams again. They’ll give me news of themselves, they’ll judge me, they’ll praise my intuitions, they’ll condemn my inevitable shortcomings. There will be some I’ve never heard from before, and I look forward to cultivating relationships with them. So, to allow them the freedom they require to set up housekeeping in my subconscious again, I have a proposal for you. I’ve enjoyed our assignations these past 70 weeks very much. Let’s please continue them. With one small change. Could we meet every other week instead? I’ll be here if you will . . .
From now until the release of The Space Between on September 12th, I cannot be held accountable for my actions, due to diminished capacity. That sounds legal-ish, doesn’t it? It’s the proof copy. The one I examine to be certain it’s printed exactly to the specifications. Holding it in my hands (FYI, I don’t have man-hands. Those are Glen’s) just about made me swoon. It took twelve years to bring this baby into the world, and there were many, many days I thought it would never happen. Needless to say, I’m giddy with delight. 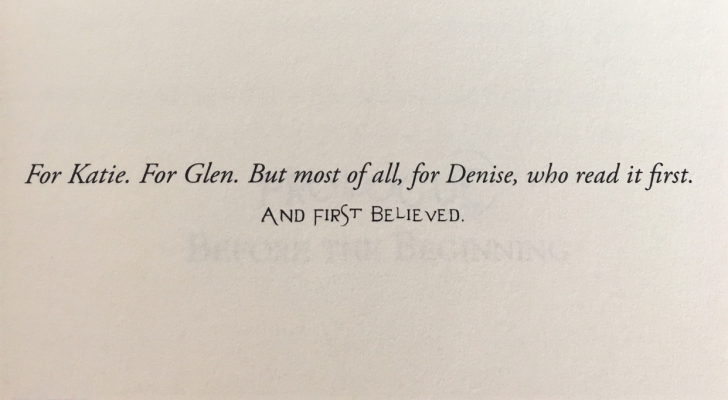 Even though I already knew when Glen opened the package that the proof copy was wrong. And it’s all The Daughter’s fault. In other words, every page of the e-book had to be scrutinized to be sure it looked the way it was supposed to. I had a lot of other things on my plate, so I hired Katie to do the job. This was the first time she’d read The Space Between since [what I foolishly believed was] its final revision. She loved it. All except for one problem that she couldn’t get past. She believed I had treated cavalierly a character I’d killed off near the end of the book. It distressed her that this character was never mentioned again after I’d snuffed him/her. She wanted me to fix that, believing that the character deserved better, and that it made me look careless and forgetful as the author. I argued my point with her. I hadn’t forgotten, but the character was so insignificant that I had seen nothing wrong in complete erasure. Besides, I said, it was probably much too late to do anything about it now. She disagreed with everything I said. The worst part was, I had disappointed her. I thought it over for all of five seconds before realizing she was right. But what could I do? Quickly I read over the trouble spot, and saw an easy repair. All it would take was the addition of two short lines of dialogue. A total of nine words. The manuscript’s formatting was complete, though. Even adding two lines could make an annoying, troublesome difference, meaning those last ten pages would have to be reformatted. I fired off a panicky email to Danielle describing the problem and my proposed solution. She responded at once with capable calm. Then, after fiddling with the e-copy for the rest of the afternoon, she fixed it. The two new lines inserted, the reformatting accomplished. Thank you, Danielle! Katie was hugely relieved and so was I. Some characters exist only to be killed off: shock value, their sole purpose in a story. This character was so very minor that I had seen nothing wrong in discarding him/her like gnawed chicken bones. Not all characters are created equal. Yes, they can certainly surprise you. Main characters can assume less importance and be sidelined. Minor characters can become the point upon which the story’s climax hinges. But a few characters are there just to up the body count. Even so, they should be treated with respect. I can’t just pretend they never lived at all. 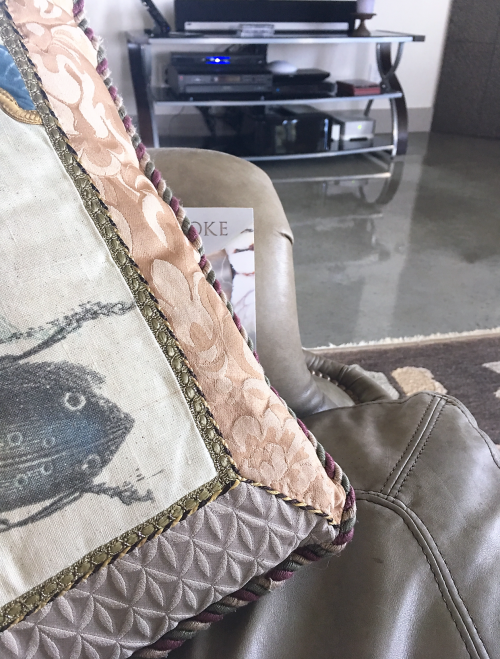 When the kerfuffle broke out, the printed proof copy pictured above was already rolling its way to me. Of course. Therefore, there will be a printed proof copy #2. The final, final revision. In a few days I’ll be opening a new package. The right one. Peekaboo, I’ll see you September 12, 2017! As I write this, the Devil is beating his wife. That’s an old saying I learned from my mother and grandmother, and probably originates in the rural South. It refers to the weather, and means that rain is falling while the sun shines. Looking out the window, I can see a sheer curtain of bright, light-struck raindrops. In my novels, the Devil doesn’t have a wife to beat. But . . . just wait till you see what he does instead. 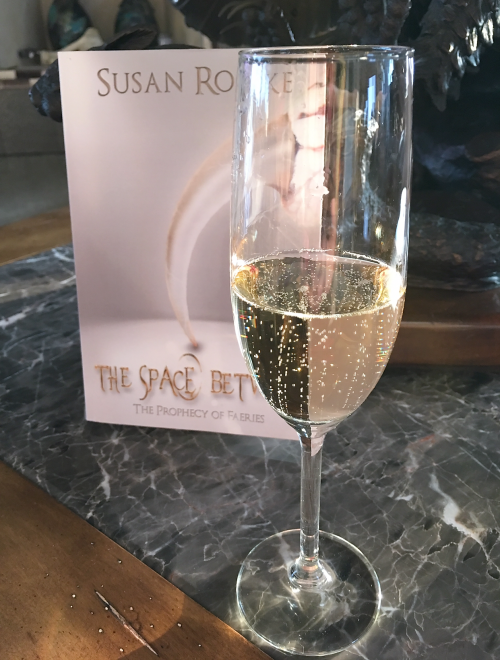 The afternoon of Friday, October 21st, I completed the final revision of The Space Between, the first book of my fantasy series-in-progress. Within minutes I’d sent it off to Danielle Hartman Acee. 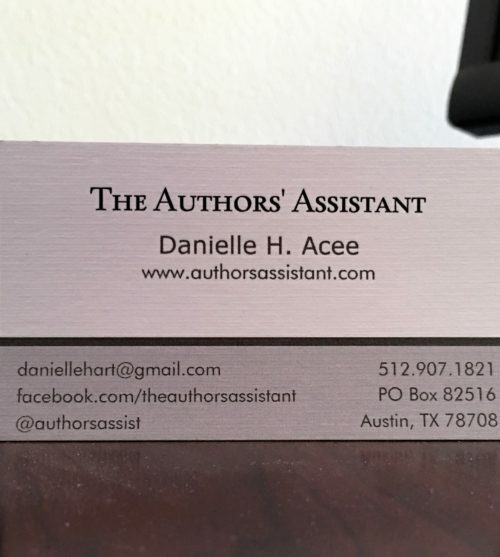 She and Mindy Reed are the two principals behind the editing/publishing/promotional services firm The Authors’ Assistant, the folks I’ve enlisted to help me complete the steps to self-publication. The book still isn’t quite ready to publish. I wish. Several things remain to be done—exciting things, like commissioning an artist to design the cover, and embarking on the promotional plan. But before the fun stuff starts, there’s another editing step: the copy edit. For that, my book will have to wait its turn behind the books of other Authors’ Assistant clients. Danielle tells me that this is a busy time of year, with many books scheduled for release over the holidays. It will be probably another week before mine reaches the front of the copyeditor’s queue. This doesn’t bother me in the slightest. I’ve waited 11 years to get this book into the world. I can wait a little longer. I can’t tell you how good it felt to get that last revision wrapped up and the book into her hands. It took me several weeks, and I sweated blood over it. In some ways it was the hardest revision I’d ever done on the manuscript (and there have been at least ten). Why did I put myself through that agony? Well, it was necessitated by the step I wrote about in September 8th’s post, “Once More. With Feeling, Dammit!”: the all-important developmental edit. The developmental edit is a step I wanted to leave out. I’ve read what other self-published novelists (the successful ones) have to say about it. It’s not cheap, but they believe it’s essential. Because no matter how many times you’ve revised your own book, and how many beta readers you’ve had, nothing can take the place of a professional editor’s eyes on your manuscript. You pay this person to closely analyze your book’s structure, story arc, character development, dialogue, writing style, and everything else that constitutes the “meat” of your novel. And all of that is why I wanted to skip this step. Because I have a long history of avoiding unpleasant truths. But noooooo. The Authors’ Assistant wouldn’t let me off the hook. She’s a brisk, no-nonsense person who told me in our first meeting that, if my book was a “train wreck,” then she would tell me flat out, and there might not be anything they could do for me. That words of praise were what an author’s family and friends were for. And after that meeting, I was foolish enough to hand my manuscript—and all of my characters, people I know as well as I know my own family, who trust me to tell their story to the world—over to her. What in God’s name had I done? Needless to say, I was very nervous while I waited for Mindy to complete her developmental edit. I had no idea what to expect, but after her “train wreck” opening salvo, complete evisceration seemed a distinct possibility. When she gave The Space Between back to me, I was relieved to see almost all of my 128,000-plus words were there, in the order I’d written them, but there were still plenty of changes I had to consider. As I made my way through her suggestions, I sometimes had to struggle to keep an open mind, but I’m very glad I did. I agreed with many of her edits, and made the changes word for word. There were others that I didn’t agree with as strongly, though I understood her editorial reasoning. In those cases I remembered her prior assurance to me that she believes the author has the last word, and I used my judgment to make the changes—if any—accordingly. But, odd as it sounds, it was her edits that I violently disagreed with that helped me the most. Every time I came to one of those, I was, first, shocked at her suggestion, and second, forced to think. She’d seen something amiss and tried to fix it. Why? Where had the manuscript gone wrong? The result was that I took those paragraphs and scenes apart and examined them more closely. Then I rewrote them. It slowed me down, but it was worth doing. The Space Between was a good book before. Thanks to Mindy, now it’s even better. And can I just tell you one word—an incredible word—that Mindy used to describe my book after she was done reading it? Used twice, in fact? Because it shocked and thrilled me so much that I can’t keep it to myself anymore? “Magnificent.” Yes. That’s right. And when I read that, I almost cried. When the book is published, I’ll have some wonderful people to dedicate it to. You know who you are. You’ve helped me so much along the way, believing in me, and in the work itself, and never once did you lose faith. Eleven years. It’s going to happen. The waiting is almost over . . . So I took a Class . . .
April 30th I did something I’ve been wanting to do for a long time. 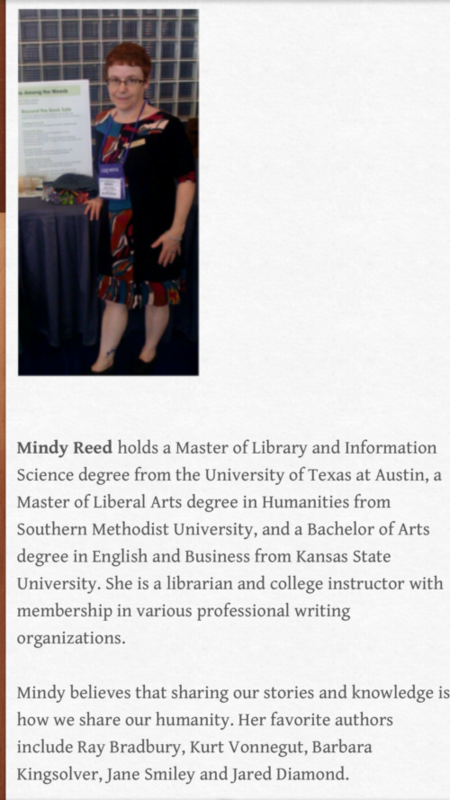 I took a Writers’ League of Texas (WLT) class on self-publishing. 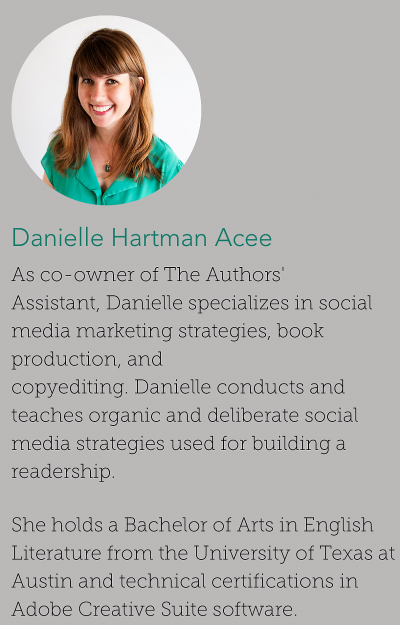 Titled “Author to Entrepreneur: A Roadmap to Effective Self-Publishing,” the class was taught by Danielle H. Acee of The Authors’ Assistant, a company that offers to writers a variety of services, including editing, publishing assistance and comprehensive marketing. As many of you know by now, I’ve written a novel. Two, actually, although the second is still in the revision phase. (See my Works page for more information.) I’d tried several traditional publishers (two quite large companies and several small presses) for the first one, The Space Between, without success. A few compliments from the small presses were all I had to show for my efforts. With each year that passed I grew more certain that I was spending too much time trying to entice publishers to sign me. Life is short, and tailoring submissions to fit each publisher’s unique (and I don’t use that word carelessly) requirements is a long process. What takes even longer is waiting weeks—or months, or until the end of time as we know it—for a response. After much self-examination, I finally made the decision to self-publish, and soon after, WLT announced the class. I think I may’ve been the first person to sign up. I was so excited I couldn’t wait to whip out my credit card. The class title spoke to me. For starters I liked the idea of becoming an entrepreneur, making a business out of writing my books. It makes more bearable the hours spent writing alone, long into the silent vacuum of a grey afternoon. Also, the notion of having a roadmap to guide me in the process was comforting. But the words that really hooked me were “Effective Self-Publishing.” Practically anyone who wants to can self-publish, whether they run to Kinko’s and print out a few copies of a memoir to give to family members, or whether they do something more elaborate—a handsome print-on-demand volume, say. But spending more money won’t necessarily result in a better product. You have to spend it on the right things. I didn’t know what those things were, but I do now. That’s not to say the class was all cheeriness and fun. Danielle didn’t sugarcoat the difficulties. She made it clear there’s much work to do in all stages of the self-publishing process, and that the work doesn’t stop once the book is on the market. In some ways her talk was discouraging. I was pretty disheartened to leave with the realization that writing the books is the easy part. But after mulling it over for a day I started book 1 back through the revision process again. It’s now done, and I have an appointment to meet with Danielle next week. She generously offered all the attendees that day a free 30-minute consultation, and I’m taking her up on it. We’ll talk a bit about my project, and I’ll learn more about what The Authors’ Assistant can offer. I can’t wait. I’ve done the easy part; now I need to tackle the hard part. The internet is littered with the bodies (whether virtual or physical) of fallen books that sold maybe a handful of copies and then died. To be truly effective in the marketplace, I’ll need professional help. 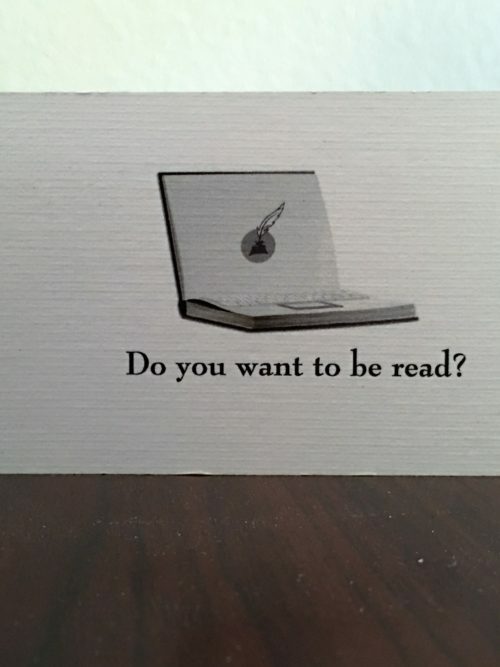 (Probably to talk me out of writing books in the first place. Pfft. As if that were possible.) So here goes. I’m coming to the hard part. Stay with me . . .
To comment: Go to the right sidebar and click on the title of the post you want to comment on. You’ll find the Comments box on that page. Thank you!